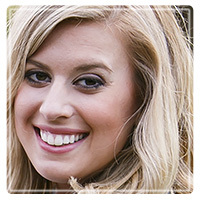 Naperville Therapist: Emily Pagone - Therapist 60563. Hello, there! My name is Emily Pagone, and I am a Licensed Professional Counselor (LPC), passionate about helping supporting and empowering individuals and families experiencing stress, anxiety, depression, relationship difficulties, academic challenges, life adjustments/ transitions, as well as those healing from trauma. I have extensive experience working with children, adolescents, adults, and families regarding these aforementioned experiences, and work with each client to achieve their goals while finding effective coping strategies to help reduce stress. I take an integrative, holistic view to counseling, and tailor my approach to each unique individual and their situation. I often utilize cognitive-behavioral, client-centered, trauma-informed, strengths-based/ positive psychology techniques, as well as various other techniques to assist my clients in reaching their goals. I strive to collaborate with each client, and get to know them deeply by assessing each aspect of their biological, psychological, and social experiences to provide the best care possible. I earned my Master's degree in Clinical Psychology (with a child, adolescent, and family emphasis) from Benedictine University, and also have an undergraduate degree in Psychology from the University of Kansas. I have been trained in providing counseling services at crisis non-profit settings, as well as at public schools. I am also an adjunct psychology instructor at Benedictine University. Please do not hesitate to reach out to me if you are interested in setting up an appointment. I can be reached via email at EPagone@napervillecounseling.com or by phone at 630-590-9522 x7. It would be the greatest honor to bear witness to your journey and offer you my support.